We are proud to work with partners across the Middle East, helping them create and share music with fans across mobile, web and media platforms. 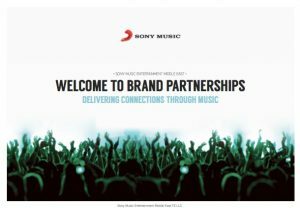 Sony Music is at the forefront of digital innovation, designing and building technology platforms for a host of clients and partners around the world. In the Middle East, we are proud to have created such solutions for clients including Daman Healthcare, Sony Electronics and Sony Mobile.